What Do 100 Cookbooks Look Like? A fitness company here in Colorado recently purchased a copy of The Feed Zone Cookbook as a gift for every employee (Yes, you can do this, too. Just email Dave at VeloPress.) They asked for autographs from Allen and Biju, which led to an hour-long autographing session in our library at the office. 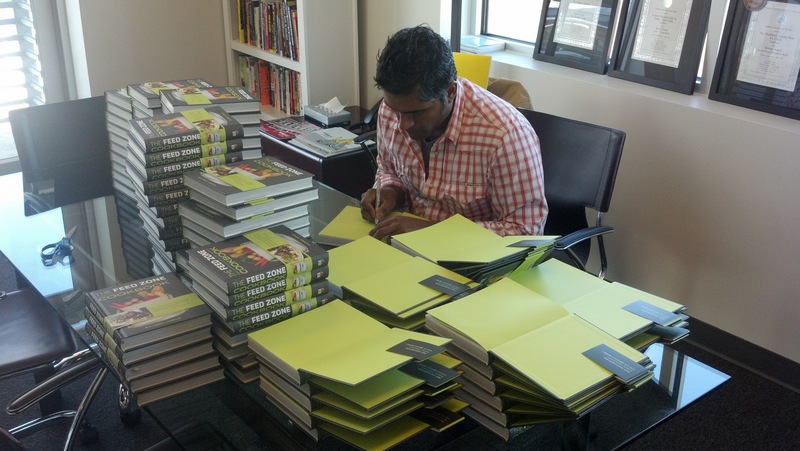 Does it really take an hour for two authors to autograph 100 books, assembly-line style? Only if you take the time to come up with wacky inscriptions! 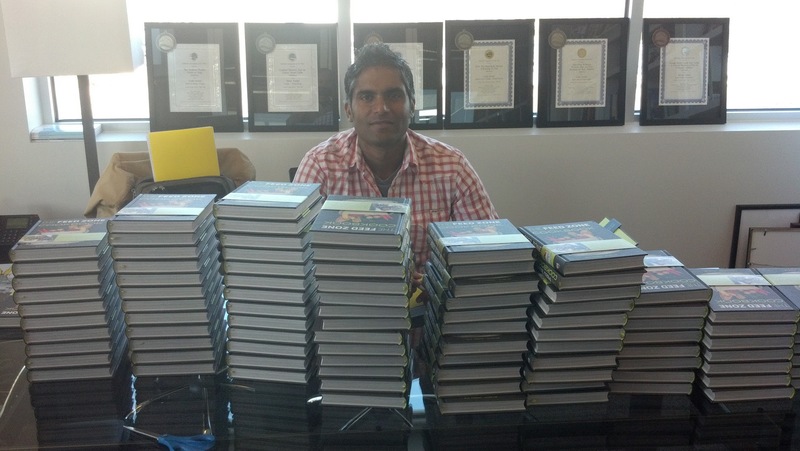 Here’s Biju behind a wall of cookbooks. 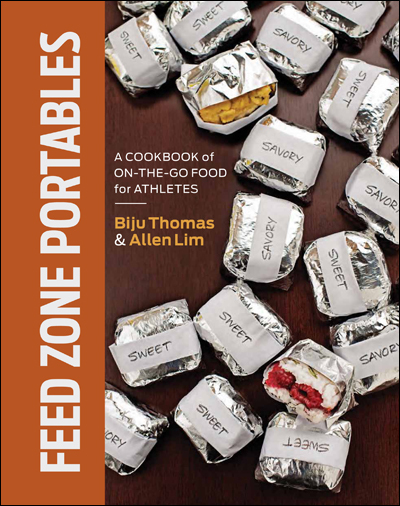 ← Active.com reviews The Feed Zone Cookbook!